The Broughton Blayney Brawny light monoplane, which is now on a 3,000-mile tour of the British Isles. Inexpensive simplicity: the Brawny monoplane in flight. Plainly ticketed! 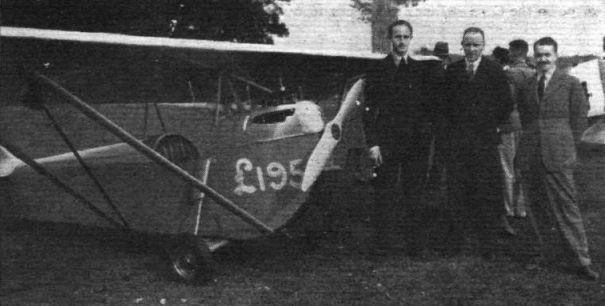 Messrs. Blayney, Broughton and Wilson with the new Broughton-Blayney monoplane (30 h.p. Carden).